Dr. Keith Forwith M.D. from Advanced ENT & Allergy in Louisville, KY tells his story of why he became a doctor. No one in my family is a physician. Growing up, my parents held physicians in high regard. Both for their academic achievement as well as their dedication to helping others. As a child, I suffered from allergies, migraines, and vertigo so I was quite familiar with the doctor's office. Originally, I wanted to be a carpenter. I spent a lot of time helping my dad with woodworking and remodeling projects and was quite skilled with my hands. But I showed an aptitude for science that wouldn't be used as a carpenter. When I was 13, my dad had an unfortunate accident and sustained facial trauma that changed my life’s path. A surgeon was called in on a Sunday evening as my father's life hung in the balance. That surgeon's skill saved my father and planted the seed that would grow into my life's work. As he did, I wanted to be able to use my intelligence, compassion, and even manual dexterity to make a difference in the lives of others. 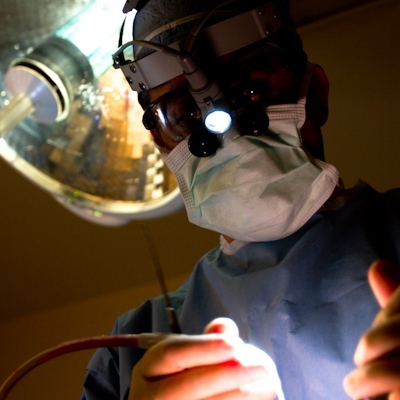 For me, there could be no other career with greater rewards than surgery. For a young boy who nearly lost his beloved father, my profession provides me daily with the chance to pay it forward. There are many kinds of workers who use the title carpenter. Some are laborers who apply their skills to create rather ordinary things. Think of those neighborhoods full of rows of houses that look virtually identical. In this case, the builder learned to create a simple structure and do it over and over again. An inside look may reveal that the houses are adequate, adhering to recognized codes and standards but lack creative thought and dedication to detail. I did not want to be this type of carpenter. Some carpenters are true builders that use their creativity to produce unique and valuable homes. Each one is different from the next and each reflects aspects of the builder and the family the home is created for. This type of carpenter is certainly more appealing, but still this lacks some of the qualities I would aspire to as a builder. My dream was more like the fine furniture builder. A skilled artisan who is capable of producing everything from basic projects to hand crafted works of art. Each piece reflecting the summation of experience and constant dedication to improving his craft. Surgery is a lot like this. 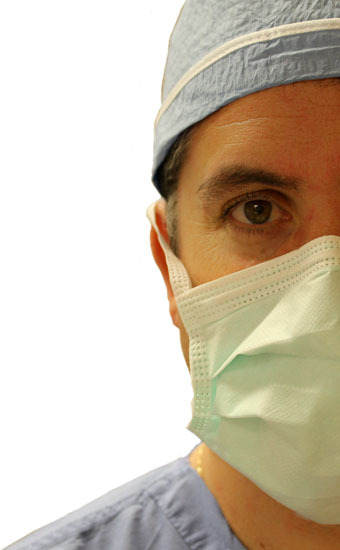 There are surgeons who apply the same techniques day after day and produce reliable results. They stick to a limited number of operations and hone their efficiency. I prefer to keep improving my skills with a broad range of problems and challenges that emphasizes quality. I continually evaluate my technique and enjoy the challenges of surgical problem solving. After more than 20+ years, I still view every operation as an opportunity for quality improvement. Just recently, after more than a thousand thyroid/parathyroid operations in the last five years, I changed one of my techniques - and the result is a subtle refinement that leads to fewer adhesions in the post operative period. I’ve been blessed to face these challenges and I’m so thankful for all my patients who’ve entrusted me with their problems and their very lives. I think back to the surgeon I was just ten years ago and realize that the refinements never stop. I am so much better than the surgeon I used to be, but not as good as the surgeon I will be - and that’s what continues to motivate and excite me!